Richard “Richie” J. Laird was born and raised in Folsom, LA and lived there until his death in October 2014. He graduated from Covington High School and received a B.S. Degree from Southeastern University. 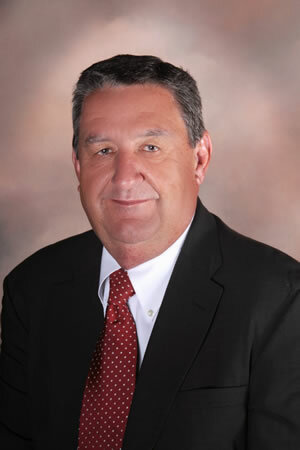 Richie had been in the banking industry in Western St. Tammany Parish for over 40 years, and retired in March 2010. He was married to Gail and they have a son Jay and a daughter Jana. Richie leaves behind 3 beautiful grandchildren Miles, Matthew and Jo-Leigh. Anyone that knew Richie can attest to the joy that he brought so many during his life. He had an uncanny ability to make you laugh and feel welcomed, and genuinely connected with everyone he came into contact with. Richie was a world renowned story and joke teller, an ability he used frequently to the joy of those around him. Likely, anyone reading this that knew Richie (even remotely) has a story to share about a story he shared with them. He was a great friend, a loving family man and a faithful follower of Jesus Christ, and though those of us remaining on Earth mourn over the loss of this wonderful person, Heaven certainly rejoices as Richie, through his faith in Christ, has likewise conquered death. We will always remember and love Richie Laird.